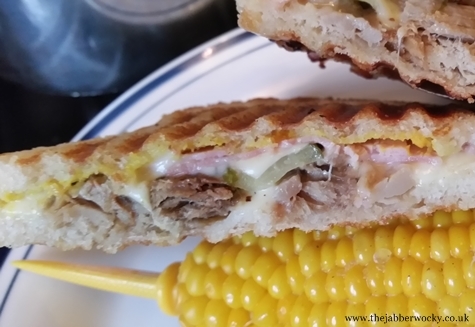 The Cuban toastie is one of these classic American sandwiches that everyone should have tried once. As we’re now almost half way through Toastuary and things have been a little heavy on the seafood it’s probably about time we serenaded you with a little bit of good old fashioned cheesey meat bliss. There are only slight variations between the two versions. 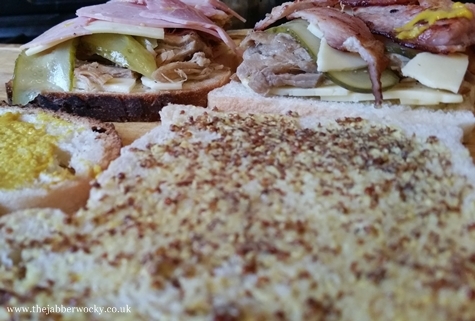 Technically you are supposed to use Swiss cheese, which would be much closer to Emmental, Leerdammer or Jarlsberg, but Gouda and Monterey Jack are both a blissful match for gherkins and mustard, so we’re substituting them instead. 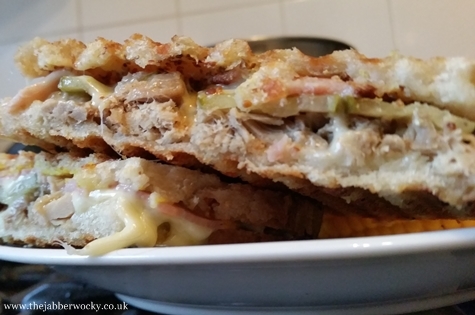 Roasting pork takes a few hours and that makes this sandwich an investment. Luckily, once your shoulder is roasted off you have enough pork for a month of Cubans. Happy days. Rated long. I could probably have eaten another two of these. Considering I’ve spent the last few weeks on the toastie diet (not recommended for weight loss, a calorie controlled diet or managing your carbs. Great for that all-important cheese boost) that’s a solid endorsement.